This is one laptop which is being praised by people all around the tech world. It is being rooted for as the best laptop for the year 2018 and it is only the first quarter of the year. 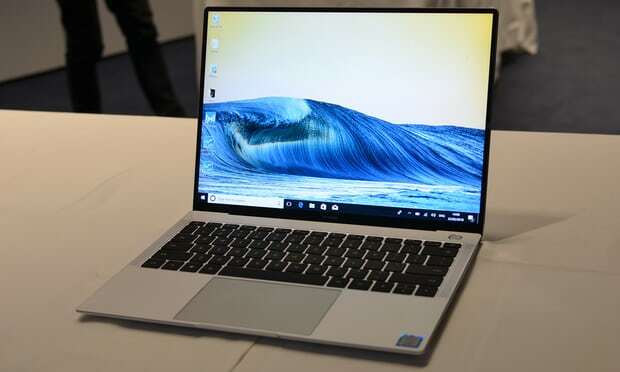 However the specs and design of the Huawei Matebook X Pro laptop is so great that it is being predicted to outshone the upcoming Macbooks and surface laptops and cinch the top position for itself. So first things first. Huawei has just released the Huawei Matebook X Pro and it is an excellent machine that combines the best features from the top Macbook and other contemporary competitors. The design is sleek and very usable. 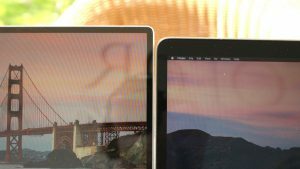 It resembles the Macbook Pro in many aspects, but has taken only the good aspects of the Macbook’s design. Opening the laptop is very easy and you can open it with just one hand. It comes in colors like Space Grey and Mystic Silver. The screen is huge with 13.9 inches. This is even bigger than 13 inch of Macbook Pro. The size is bigger and the bezels are also tiny making it almost an infinity screen and making the display remarkable and beautiful. The resolution is 3k x 2k and the screen is bright and catchy looking. Another big plus of this laptop is that it is of immense power long lasting battery. It comes with 8th gen Intel Core i7-855U processor, 16GB of RAM, 512GB of SSD storage, Intel’s UHD 620 graphics chip paired with dedicated, Nvidia GeForce MX150 graphics, and a 57.4Wh battery. With battery of 57.4 Wh it can easily provide you with 12 hours of video or typical 14 hour workday usage. In fact you can have a great time watching videos on the Huawei Matebook X Pro as it has amazing sound quality too, thanks to its four embedded speakers. 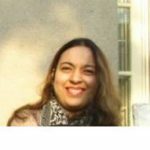 So if you are in for a movie marathon, no need to worry about connecting the Laptop to the television for better sound and picture or the battery issues. Camera is placed at a secure place so that it can take a better angle and has a better utility. It is hidden away under a function key and can be popped out for your conviniance. So now you do not worry that whether the camera is on or off, for quick shut off of the camera just pop it in. 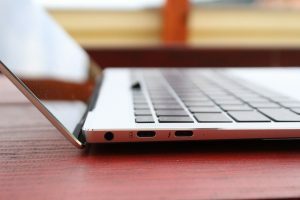 The MateBook X Pro has two USB-C ports and a headphone socket in one side and a USB-A port on the other. The price might look expensive to some consumers, but compared to the other contemporary laptops of the same league, it is in fact cheaper. The most expensive with maximum storage capacity and power is priced at costs €1,899 ($2,336). However cheaper variants are available if you are ready to compromise on some features. 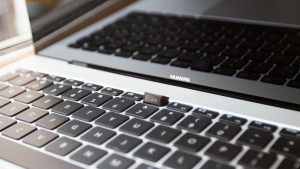 There is always a MateBook X Pro with a Core i5 processor, 8GB of RAM, 512 GB of storage, and MX 150 graphics for €1,699 ($2,090), or an even cheaper one without the discrete graphics and with only 256 GB of storage for €1,499 ($1,844). Huawei Matebook X Pro is definitely an amazing laptop and when by the end of the year, experts will list the best laptops that were released in the year 2018, the name of Huawei Matebook X Pro will be a strong contender in all the lists. 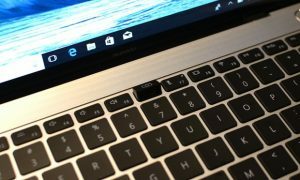 Let us wait and see what Apple and Microsoft have in store for us this year for the upcoming Macbooks and Surface books series. Let us know what are your views about the Huawei Matebook X Pro and if you plan to switch to using this laptop or not.